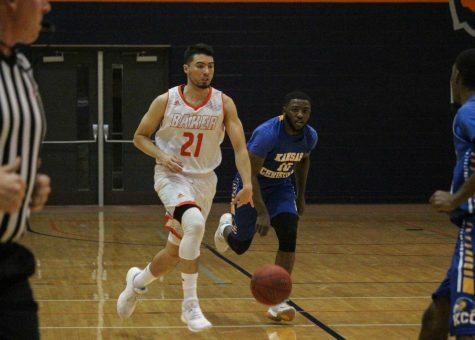 The Baker University men’s basketball team pulled off a two-game win streak at the end of the regular season to put the Wildcats in the Heart of America Athletic Conference Tournament for the third year in a row. 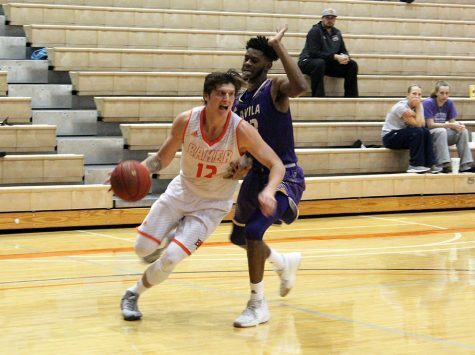 But the late-season run came to an end on Wednesday in Atchison when the Wildcats fell to top-seeded Benedictine College 66-51. The first-round tournament loss ended the Wildcats’ season. 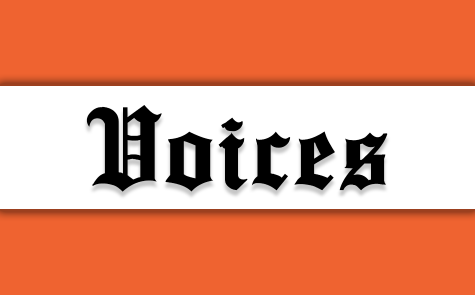 Baker had difficulty stopping Benedictine’s 6-foot-6-inch forward Charlie Wallrapp, who scored a game-high 20 points. The senior went 8-9 from the field and 4-5 from 3-point range. 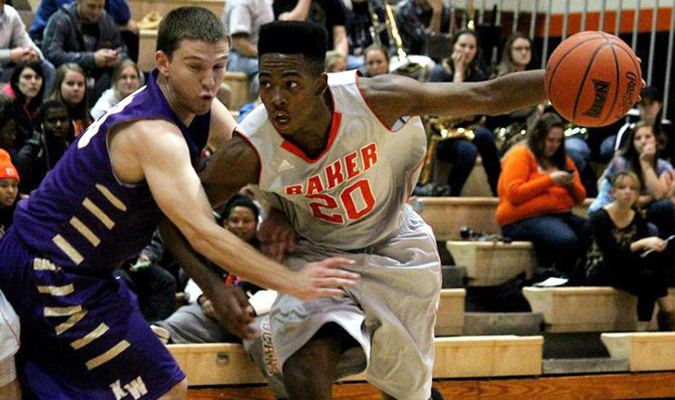 Junior EJ Carter led BU’s offensive effort, scoring 14 points. Freshman Javeion Gray followed closely behind Carter with 13 points. Gray had a complete game for the Wildcats, adding four rebounds, six assists and two steals. The Ravens jumped on the Wildcats early, taking a 14-4 lead within the first four minutes. Four of the first five field goals for BC came from the 3-point line, a sign of things to come from the Ravens. Benedictine quickly extended the lead to 15 points and took a 31-21 halftime lead. Gray led the team with eight points in the first half and was responsible for 13 of the Wildcats’ points via field goal or assist. It was more of the same in the second half, as two 3-pointers and an and-one converted by BC’s Jonathan Anaekwe put the Ravens up by 19 after just two minutes of play. That was one of just 12 free-throw attempts taken by both teams combined in the game. Baker went to the free-throw line just four times during the contest and was outrebounded 31-21. BU was slightly edged in second-chance points, 11-to-six, and points in the paint 20-to-12. Baker fought back following Benedictine’s opening surge, reducing the gap to as little as 12, but the Wildcats never saw the light of day, as BC immediately carved out a 15-4 run to take a game-high 23-point lead, giving little hope for a comeback with just 8:54 to play. Seniors Todd Johnston and Julian Mills played in their last game as Wildcats on Wednesday. Johnston led BU with three 3-pointers made, finishing the game with nine points. Mills had three points to go along with two assists, two steals and the only blocked shot of the game for the Wildcats. 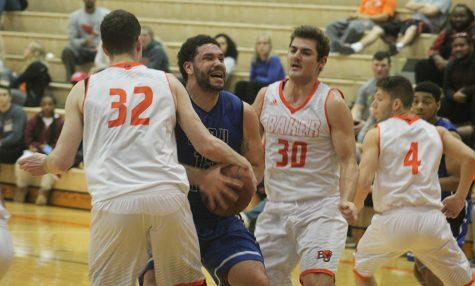 Baker qualified for the HAAC tournament thanks to an 80-77 double-overtime victory over Missouri Valley College and a 75-57 senior night shellacking of the Peru State College Bobcats. 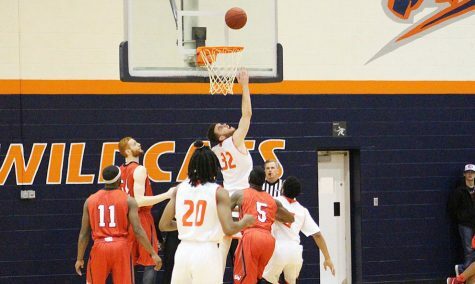 The Wildcats held the bottom spot of the conference standings before finishing with a 5-13 HAAC record. Johnston played in the HAAC tournament for the third time. 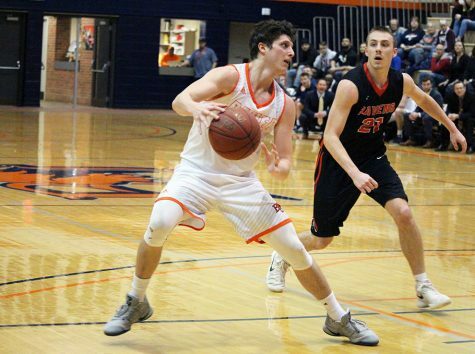 “It’s always exciting to be able to make some noise in the playoffs and try to make it into the national tournament,” he said. Johnston, the Wildcats’ leading 3-point shooter, set a career-high in Saturday’s victory over Missouri Valley with 18 points, following another stellar performance on senior night with 16 points. 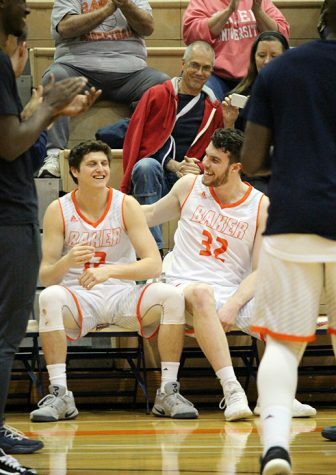 “The fact that it was my last game on that floor, and that we were able to come together as a team, we set a season-high in assists, that meant more than anything else,” he said. On Monday, two Wildcat players received accolades for their individual performances over the regular season. Carter was an honorable mention selection for the Heart of America Athletic Conference, and Gray was named the HAAC Freshman of the Year. 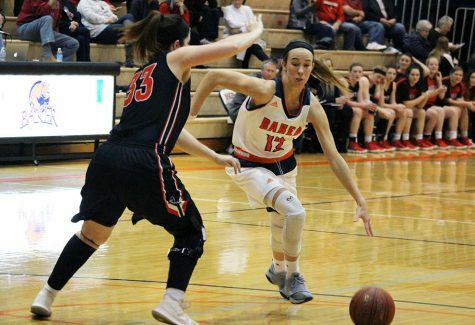 Carter led the team in scoring over the regular season, with more than 13 points per game, as well as in rebounds, averaging six per contest. Gray has led the team over the months of February and March in scoring, at 16 per game. During his rookie season, Gray played in all 30 games and scored more than 300 points. The Wildcats finished the regular season with an 11-19 record.